Matching up with the requirements of our clients, we are involved in offering Usha Rich Brown Electric Ceiling Fan. Being quality centric firm, we are involved in providing the first-class range of Usha Ceiling Fan. Usha Fans products are used in various sectors for cooling purposes. The products offered by us are manufactured using superior grade raw material and progressive machines in accordance with the latest market standards at vendor's end. Apart from this, these products are widely appreciated among our prestigious clients for their durability and reliability. 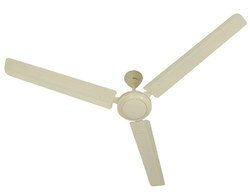 Owing to our in-depth knowledge in this domain, we are specialized in providing Usha Pedestial Fan.